Dare to step into the realm of God’s extraordinary riches. 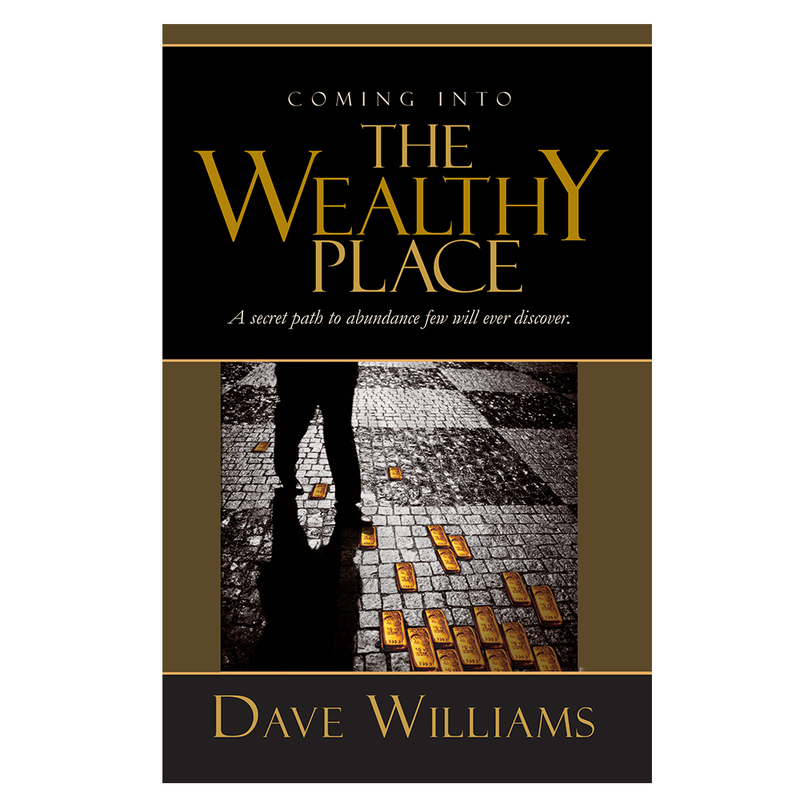 If you’re tired of living paycheck to paycheck and are looking for ways to create new wealth, then come on—team up with Dave Williams and our millionaire mentors for a terrific opportunity to receive step-by-step motivation. Learn powerful strategies and unfailing Kingdom principles that will help you to create wealth. This seminar is designed to be an accelerated time of learning, growing, and receiving an impartation for wealth. Filled with warm-hearted wisdom, the Wealthy Place Seminar provides a fresh, fun, and practical approach to discovering how to achieve higher levels of financial security and funding your dreams. 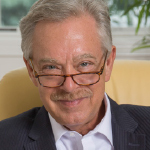 Dr. Dave Williams is a teacher, trainer, and best-selling author. He served over 30 years as pastor of Mount Hope Church in Lansing, Michigan with over 500 outreach ministries and churches in America, Africa, and Asia. During Pastor Dave’s tenure, Mount Hope Church gave over $40,000,000 to world and local missions. His training has boosted the effectiveness of pastors, leaders, and high achievers. Thousands have enhanced their performance and productivity by attending a weekend seminar, Church Leadership School, and Pacesetting Leadership Conference. Jason and Grace are Vice Presidents in Financial Services. Their vision is to raise up 100 licensed agents to change communities by helping 1,000 families a month get properly protected, debt free, & financially independent. They take an educational approach to helping people with their finances; they teach “How Money Works” & then provide the tools to implement it. They are passionate about fulfilling the Great Commission; to GO, GIVE & LIVE AS GOD LEADS. They have been on 7 short-term Missions Trips since 2010. In Summer 2017, they led a team of 239 missionaries in the capital city of Nicaragua. Their Life Vision is to go to the NEXT LEVEL in every area of their lives & help others do the same; Spiritually, Mentally, Physically, Relationally, and Financially. Together John and Judy are popular motivational speakers. John holds a Bachelor of Business Administration from the University of Colorado. His company is the largest privately owned architectural paint manufactory in Michigan, O’Leary Paint Company. His company is nationally recognized as one of the Top 40 paint dealers in North America. Judy is a certified Strength and Conditioning Coach and a personal trainer with over 10 years’ experience. While working as Director of Personal Training at a local fitness center, she increased sales 500% her first year. This extraordinary event is for those who feel they have a call to the ministry of wealth and are willing to tie it to the Great Commission. With greater wealth, we can help missionaries more. We can build churches. We can live debt free. We can and do more when God works with us. This seminar changed my life too both spiritually and financially, it’s well worth the investment. My husband and I have learned so much, about how to change our thinking and our mental outlook. Now we know how to participate in upward giving and honoring the man of God. We are so excited! I have thoroughly enjoyed this event, it has opened my mind to new things I have never thought of. Praise God for Pastor Dave! This experience ignited a passion in my wife and me to step beyond our working life and living paycheck to paycheck and look to other sources of income and wealth generation. We are ready to take big steps of faith! This has been a negative mind-set breaking experience for me. I can now dream bigger than I ever have before. It is like the ceiling has popped off; I can’t wait to see what God is going to do. Most importantly, my wife and I shared this experience and now we are both empowered to do what God has called us to do. This seminar changed my financial life for the better! We are debt-free and on our way to the wealthy place from applying the principles we learned in this seminar! Financial freedom is true freedom and brings glory to our Father in heaven and peace to our hearts and lives! Thank you, Pastor Dave from the bottom of my heart! I have learned how to break the poverty mentality I have walked in for so long. Now I have the clear revelation that it is not God’s will for me to experience lack. I feel I have freedom to dream big and have more. Dave—so grateful you came to Rochester First for your anointed “Wealthy Place Seminar”. My Life is already changing—my mind especially—and a harvest because of your blessings! I planted an “unusual” seed and received a “mind-blowing Harvest!!! ($30 turned into $4200!) I am grateful for all the books you gave, your cd’s, your wisdom—it was worth a million dollars! You are so incredibly kind and generous! Having no concrete goals is like trying to operate an ocean liner without a helmsman. You set out to sea, hoping to get to your desired destination, but your chance of arriving where you want to go is virtually nonexistent. God plans for everything—from when he spoke forth the universe, to his plan for your salvation, all the way down to this moment in your life. This book reveals how to discover God’s plan for accomplishing profound results. You will learn the seven “Vs,” incremental steps, that will help you accomplish 100 to 1,000 times more!